Obafemi Awolowo (March 6, 1909 - May 9, 1987) was a Nigerian politician and leader, a Yoruba Chief, and considered a founding father of Nigeria, he was the first premier of the Western Region in 1954. 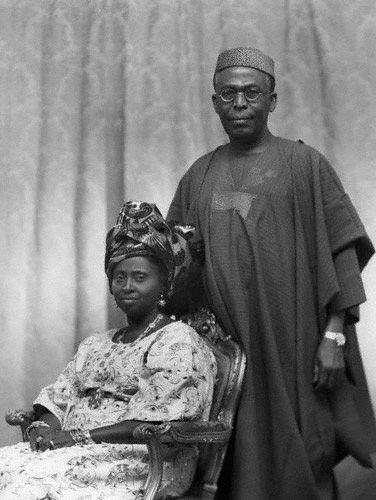 He married Hannah Idowu Dideolu in 1937. I've shared a picture of Awolowo and HID on their wedding day here. They had two sons and three daughters. He was a practicing Wesleyan Methodist. Awolowo died in his home town, Ikenné on May 9, 1987. 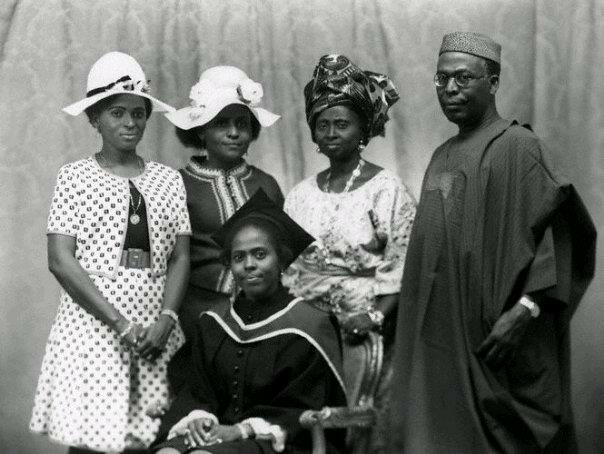 HID, Awolowo's indomitable wife is still alive, and one his daughters, Dr. Mrs Awolowo Dosumu, runs the Obafemi Awolowo Foundation.